Are Electric Bikes Just for Lazy People? 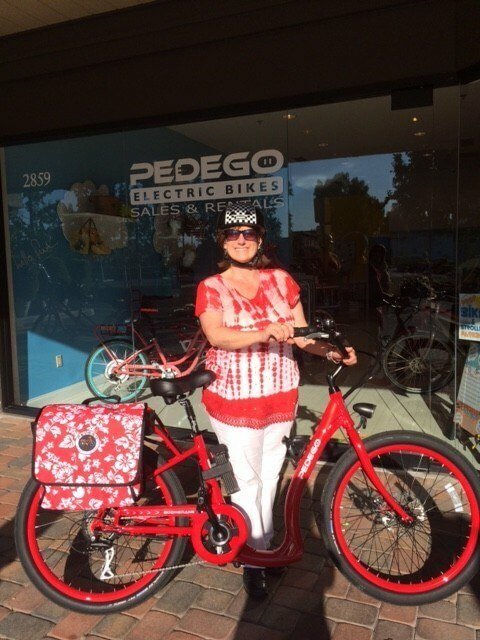 Answering The Big Questions: I can pedal just fine … so why would I want an electric bike? Aren’t electric bikes just for lazy people? We are asked questions like this daily. To be honest, I held these beliefs myself before being introduced to an e-bike. 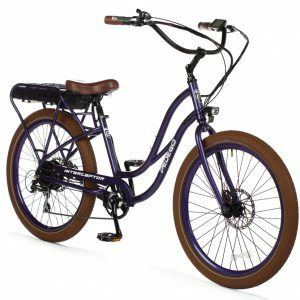 As a long-time road cyclist, I scoffed at the idea of letting a motor do the work and when my husband decided to turn a perfectly nice Trek mountain bike into an electric, I mocked him. First, there’s the speed. Let’s face it – no matter how strong a cyclist you are, zipping along at 20 mph with little effort is intoxicating. Being a 50-year-old woman, it’s outright exhilarating to pass a MAMIL (middle-aged man in Lycra), especially on a hill. The next thing I noticed was how much safer I felt. You know how it is when you are stopped at an intersection. First you have to worry about what gear you’re in, and then if you’re a REAL cyclist you have to make sure your shoes clip in properly. This can be stressful and diverts attention from surrounding traffic, pedestrians, dogs and other obstacles. With the electric power, you just twist the throttle and zoom through the intersection — usually ahead of the cars, which is a much safer place to be. Then there’s my desire to do the right thing for the environment. I’ve tried numerous times to be a bike commuter, but inevitably abandoned the idea even though I only lived about five miles from work. But being a commuter meant I had to think about what clothes to bring with me because I knew I would arrive at work sweaty and disheveled. It took longer and I had to change in a restroom (often gross) and remember to bring a comb and makeup to try to make myself presentable. It was such a chore! 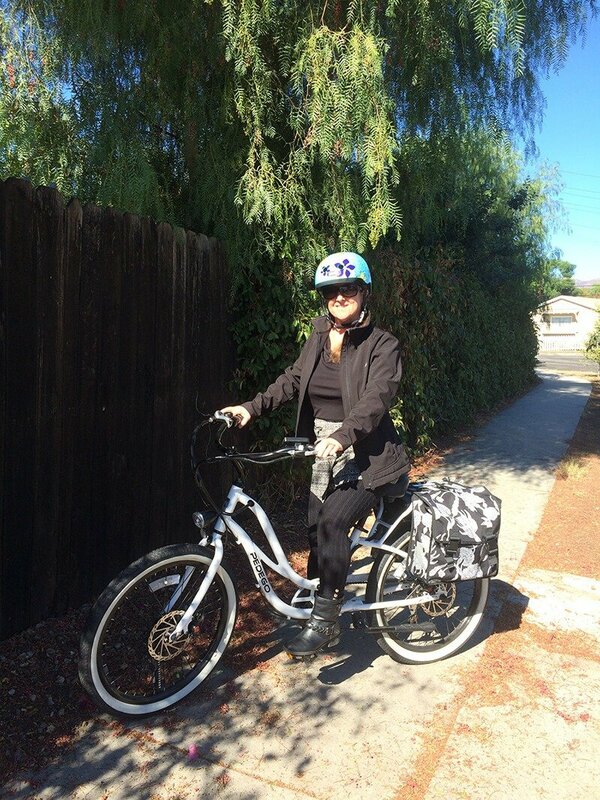 But with the electric bike, I can get to work without all the muss and fuss, and much faster. If I’m feeling spry at the end of the day, I turn the power down (or completely off) and get some exercise. On those days when I’m wiped out, I turn on the pedal assist and let the bike do the work. 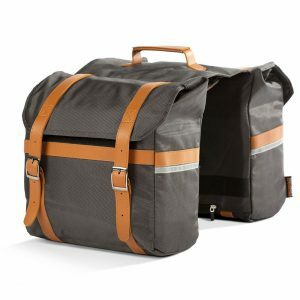 My ride is now equipped with a set of cute panniers (aka saddle bags) that hold a mess of stuff including my hefty bike lock, a laptop, my purse and a backup jacket … most everything I need. I can run into a store and grab a jug of milk or some provisions for dinner. And I don’t have to worry about the extra weight since the motor is there to help out at a moment’s notice. But the best thing is the joy I feel while I am riding. The minute I start moving on my bike I am happy. The sensation of the air, the smell of the trees, and the sounds of the birds — I feel very lucky to be able to experience this whenever I like.